When life gets busy, we often find ourselves stressed and too tired to think about dinner, let alone cook. After a long day at work, it’s tempting to opt for take-out pizza, fast food, or pop a frozen dinner into the microwave. 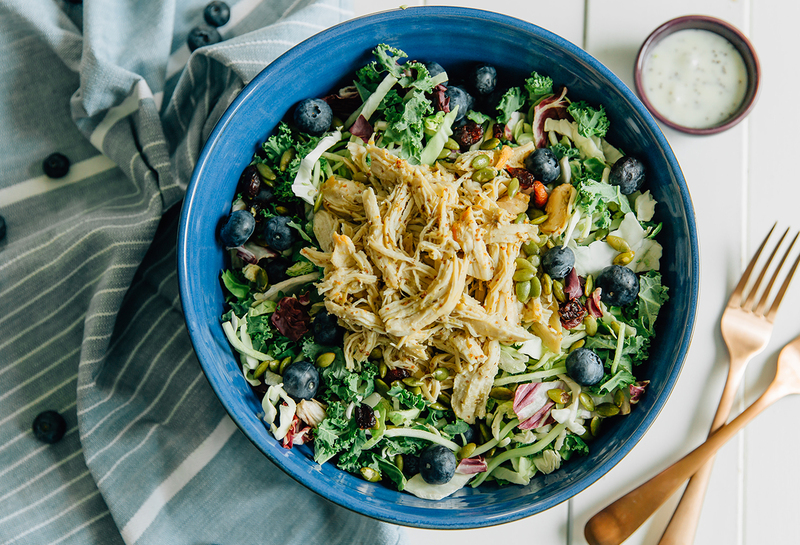 What you might not realize is that throwing together a healthy, delicious dinner doesn’t have to be as stressful and time-consuming as you might think—especially if you have the right tools! An Instant Pot is an appliance that can be used as a slow cooker, pressure cooker, rice cooker, steamer, yogurt maker, and warming pot. Once you have the necessary ingredients, all you have to do is prepare them and let your Instant Pot do the rest! If you have an Instant Pot, try these delicious recipes to make an easy dinner. 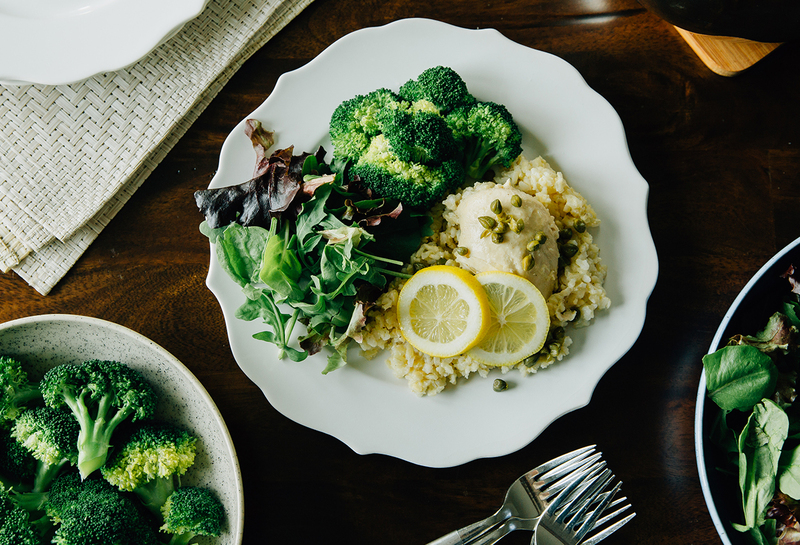 This healthy take on chicken piccata isn’t fried, but still packs all the flavor! 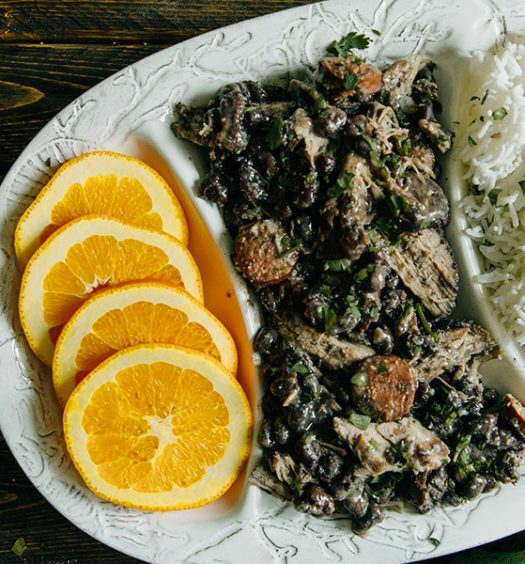 If you haven’t realized the true potential of your Instant Pot, this recipe is going to blow your mind! All you have to do is throw the ingredients into the pot and turn it on. That’s it! Why work harder if you don’t have to? Rice is one of those things that I love, but it always seems to be what I am waiting on to finish cooking meals. 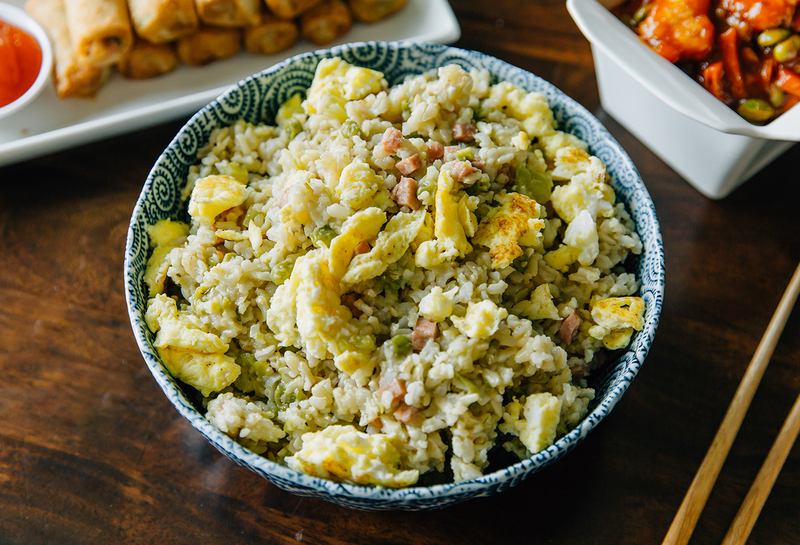 This fried rice recipe is made entirely in the Instant Pot, and even the rice is cooked to perfection. I love it when you can make a delicious meal with simple ingredients…especially when it is almost entirely hands off! While the Instant Pot does its thing, you have time to get some other stuff done—get in a quick, 30-minute workout, fold the laundry, or catch up on your favorite T.V. show! This honey mustard chicken is a delicious, versatile recipe for the Instant Pot. In just 15 minutes, you can have shreddable chicken that’s perfect for a salad, rice, sandwich, or anything you might think of. 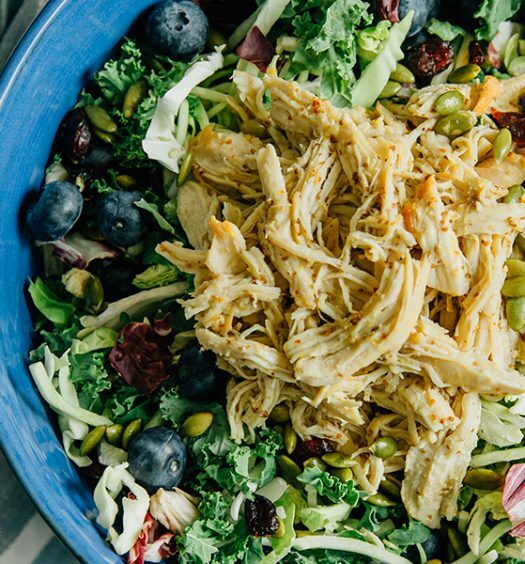 Our favorite combination is to top it on our Kale Berry Salad. Make this on a Sunday and have chicken ready for topping your dishes all week long! This soup is so hearty and is the perfect meal for any weeknight dinner. It has a bold flavor with just a hint of heat. It’s also one of those vegan recipes that I can sneak past my family without them realizing that we are having a meatless meal. I love being able to put all the ingredients into the pot and then just walk away. It really is a time saver! This recipe is delicious hot or cold…and it’s so quick! It only takes twelve minutes. 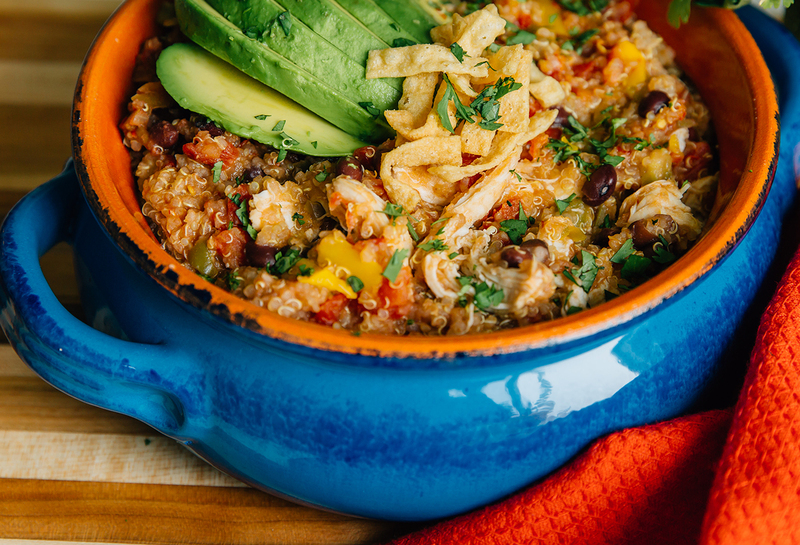 Twelve minutes to cook quinoa and chicken. This is perfect for those crazy nights when I forgot to prep dinner. Plus, it’s hard to justify hitting the drive-through on the way home when you can have a meal that’s more nutritious and ready just as fast! Want more? 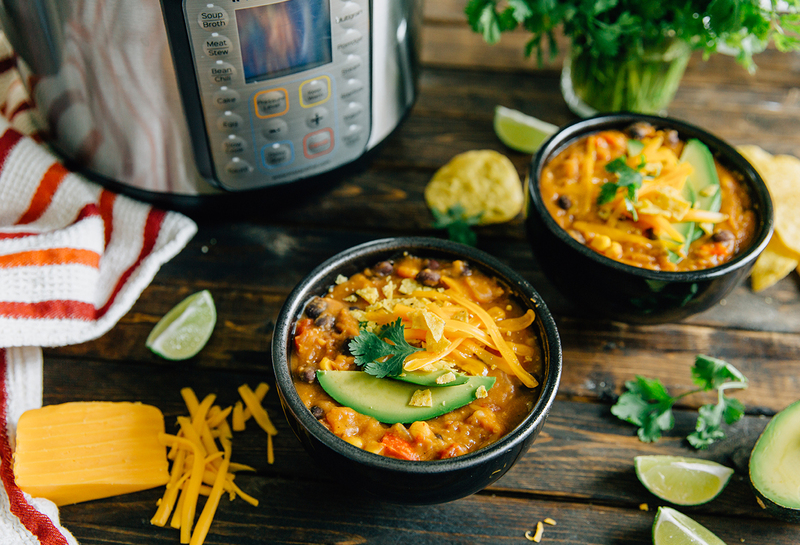 Discover more Instant Pot and other delicious recipes here.